 The Melon Acres CSA program is designed to allow our members to purchase shares in fresh local produce including cantaloupe, watermelon, asparagus, cucumbers, sweet corn, berries, and much much more all season long! CSA is an acronym for Community Supported Agriculture, which means you’re buying a share of the farm’s crops for the upcoming year. The program runs for 13 weeks, beginning the week of May 26th to the week of August 18th. Membership spots are limited this year, so be sure to get your membership forms in early! We make many stops throughout Knox and Sullivan counties in Indiana and Lawrence, Crawford, Cumberland, and Wabash counties in Illinois. Click here to find a list of pick up times and locations for the 2019 season. What are the benefits of the CSA program? To begin with, fresh, in-season produce! The shorter the time between the soil and the plate, the healthier your fruits and vegetables are. Research has shown that locally grown produce contains as many, and often more nutrients than produce grown organically. Quick delivery to the consumer also cuts down on the chances of food borne illnesses for your family. 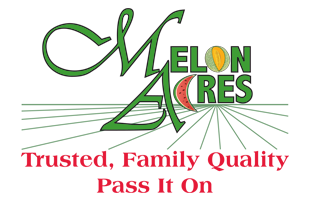 Melon Acres has a stringent food safety program in place to ensure that your produce is as safe as it is tasty. Finally, by participating in our CSA program you’re helping keep community agriculture alive. More and more farmers are relying solely on crops like field corn, soybeans and wheat, which often never makes its way to the consumer as unprocessed, healthy food. By supporting Melon Acres you’re helping local, family owned farmers continue in the business of providing healthy, whole foods for you and your family. 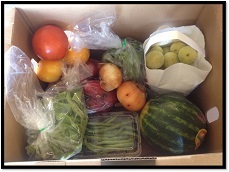 What can you expect in your CSA bag each week? 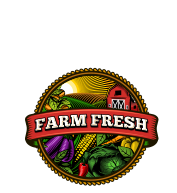 Fresh local produce means you’ll be finding whatever is in season in your delivery each week, which will vary throughout the growing season. You will also be receiving two recipe cards in each box to go along with your fresh produce.